Ask anyone who knows me and they’ll tell you of my love for a red bus tour. I’m obsessed. And frankly what’s not to love about being driven around a new town getting the low down on the scandal and goss. You can imagine my delight then when I was sitting enjoying a glass of wine with a friend who casually dropped their recent trip on Windsor Duck Tours in to the convo. An amphibious duck boat, whaaaaaat! I booked for us almost immediately. And it was every bit as wonderful as I imagined. We jumped on the tour outside the Theatre in Windsor and had a jolly good time admiring the Castle, the Long Walk and all the lovely things you get to see around Windsor. But then, the pièce de résistance. The children’s joy and squeals of utter delight as we suddenly drove down a ramp and straight into the River Thames were only surpassed by my own. It really was brilliant, they were utterly thrilled and we then got to enjoy a leisurely cruise down the Thames before making our way, unharmed, back on to dry land. A 10 out of 10 gold star from me. You’d be quackers not to (I’m so so sorry, I tried not to duck joke). 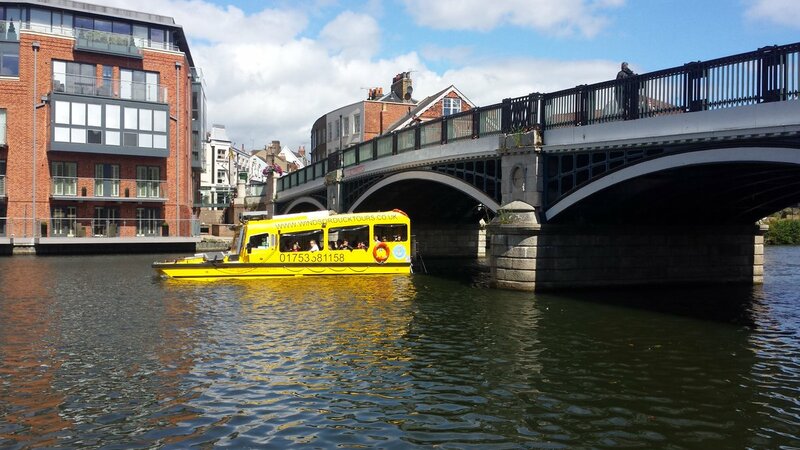 For more information on Windsor Duck Tours, click here. We hope you found this post useful. 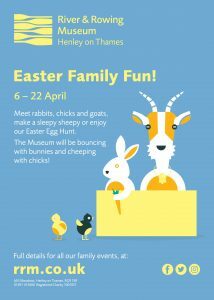 For other ideas on days out in Berkshire for families, click here. * All details correct as of March 2018.